Netflix's Daredevil series has been renewed for a second season, debuting the same year as Luke Cage. After months of anticipation, Netflix's Daredevil series launched this month to great critical acclaim. 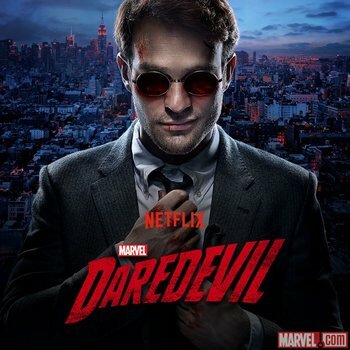 Between new takes on iconic characters, subtle ties to the Marvel films, and some absolutely fantastic fight scenes, Daredevil gave us many reasons to get excited for future Netflix superhero series. The good news is that we won't have to wait until The Defenders to see Matt Murdock next - Daredevil has been renewed for a second season that debuts in 2016. Netflix's original plan was to release four series about small-scale Marvel superheroes - Daredevil, Luke Cage, Iron Fist, and A.K.A. Jessica Jones - before bringing them together in an Avengers-style Defenders mini-series. But Daredevil's success means it will get another full season while the other heroes are being introduced. It's not clear which comic book storyline Season 2 will focus on, but the mysterious Hand organization - and perhaps Elektra herself - is a solid bet. That said, Daredevil will undergo one major change - Steven S. DeKnight is stepping down as showrunner. "While previous commitments unfortunately prevent me from continuing on with Daredevil into its second season," DeKnight said, "I could not be happier that [writers] Doug Petrie and Marco Ramirez are carrying the torch. They were invaluable collaborators during our first season, and I for one can't wait to see what they do with the show moving forward." Even with DeKnight stepping down, Daredevil getting a second season is great news for superhero. As for the rest of the Defenders, A.K.A. Jessica Jones will launch later this year while Luke Cage will debut in 2016 alongside Daredevil Season 2.